When using Lightroom, you might be wondering why the highlight recovery between different camera models allows for different room. Given the “color of light” (light source color temperature and tint) is the same, the highlight recovery difference depends primarily on baseline exposure compensation applied to a raw file when it is opened in Adobe raw converters (Adobe Camera Raw, ACR; or Lightroom, LR). This baseline exposure compensation is applied behind the scenes, the exposure compensation slider after the file is opened stays at zero. 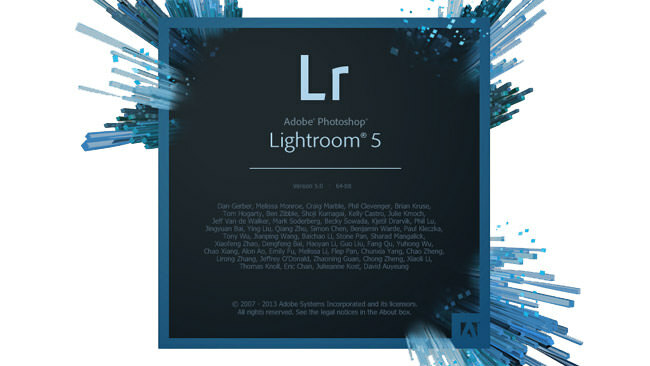 This is Adobe’s way to equalize cameras. As you can see, using the Adobe Standard process, the number for BaselineExposureOffset is at zero (if it is present for your camera, add it to BaselineExposure). From the table above, you can see that for Nikon D3X at ISO 50 (Lo setting) 0.75 EV (stops) is subtracted, making the image “darker”, while for ISO 100 0.25 EV is added, making it “brighter”. You can also see that the compensation (and thus the room for “highlight recovery”) differs between the D3 and the D4 by 1/4 EV, more “room” for the D3. The difference between the D3 and the D3S is 1/2 EV, favoring in this respect the D3; however in fact it means that the D3S exposure is already hotter, adding to less noise. Interesting. This might explain why Adobe Standard looks overexposed to me for night photography and Camera Neutral does not with my D700. Also, I occasionally get color banding with some camera profiles if I’m not careful on night skies. the guys that did RawPhotoProcessor (RPP) pointed out this type of compensation a while back. this is what makes RPP sometimes better at recovering highlights where ACR fails. Over the Christmas holidays, I decided to convert my CR2 files to DNG. I did not realize the chore that would be since I have over 300,000 photos in my digital folders. It took a couple of weeks, around the clock, using Adobe’s DNG Converter, but I accomplished the task. I now have a few extra terabytes of computer space. The one thing I noticed as I was deleting the CR2 files (wish DNG Converter had an “automatically delete CR2 files” button) is that the DNG files were lighter than the corresponding CR2 files. At first it confused me because a RAW file was a RAW file, right? Then I thought that if the DNG file was about 75-80% the size of the CR2 file, then Adobe must be throwing data away, which is why the files were lighter and smaller. I went back to Photoshop CC and post-processed both files identically. I got the same result, which I also thought was interesting. But with the experiential evidence that my work would be the same with the DNG files, I proceeded to delete all the CR2 files. Now, after reading your post, I understand the difference. Knowledge acquired…. Thanks! One of the many reasons not to delete original CR2 files is that Canon DPP does not process DNG format. Please consider keeping the originals. It is a good practice. Too late! They all went bye-bye two weeks ago. I don’t like DPP. Never did. I’m a Photoshop guy, even to the extent that I’m making Photoshop take over all my previous work in Photo-Paint, PaintShop Pro, and CorelDraw. Never say “never” ;) – who knows, maybe at some point something will change and you will need DPP. But generally, a slight bug in the dng converter may ruin your photos. Why not to keep original shots too? Nope. They are outta here! And the first thing I do when I come in from the field each day is convert all my CR2 files to DNG files. Adobe’s DNG Converter makes it fast and painless, except for deleting all those CR2 files, but a resort of the directory makes that easy, too. Hi, bit late to the party but I only found this article now. A while ago I did the exact same analysis with (obviously) the same results. I played with Exiftool a bit overwriting the ISOvalues of different raw files and looking at the results of DNG converter. The BaselineExposure seems to be constant per camera (except the -1 at ISO 50). What I’m wondering is: (a) where does Adobe take this information from and (b) where does it store it. On (a) I assume Adobe creates a standardised record for each new camera (probably along the DNG-data model) and on (b) the DNG-converter must have some internal camera database.